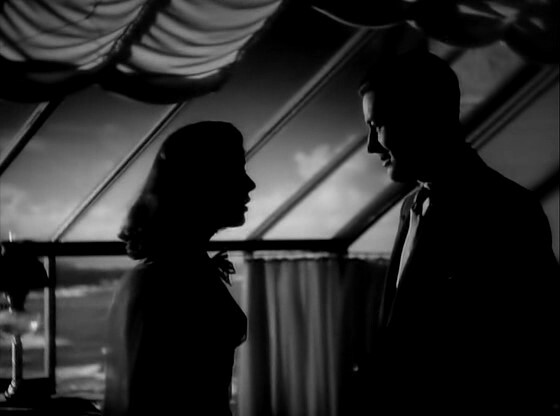 Roderick (Ray Milland) and his sister Pamela (Ruth Hussey) buy a house haunted by the unhappy mother of a local woman, Stella (Gail Russell). When they realize that Stella’s life is in danger, Roderick, Pamela, and a local doctor (Alan Napier) try to solve the mystery of the haunted house before it’s too late. Peary is clearly a fan of this “classy horror film”, labeling it “the cinema’s first really good ghost story”, and praising it for being “atmospheric, suspenseful, and witty.” Unfortunately, the film’s comedic overtones are distracting rather than enjoyable; because we’re never really scared, it doesn’t work as a true horror film. At the time of its release, lesbian fans flocked to see The Uninvited again and again, due to Cornelia Otis Skinner’s turn as a (presumed) former lover of Stella’s mother; unfortunately, this interesting subplot isn’t given adequate time or attention. Yes, for its historical importance as an erstwhile cult favorite with lesbians. A must, for its place in cinema history. Being among the earlier ghost stories, it’s a bit quaint but it’s interesting enough to merit a viewing, and was certainly influential enough for the likes of ‘Poltergeist’ (esp.). Among the actors, Hussey stands out; she probably didn’t appear in film as much as she could or should have (did more tv and stage, apparently) but she has a refreshing presence (and was shown to better advantage in ‘The Philadelphia Story’). It’s certainly understandable that lesbians in the ’40s would have perked up to this one. It’s stated, I think, by someone in the doc ‘Word Is Out’ that, in the intensely closeted days, one would seek out visible images wherever possible. 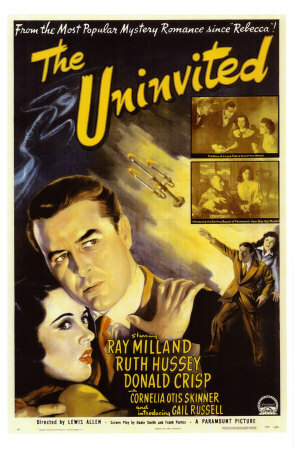 Unfortunately – but not surprisingly, much like ‘Rebecca’, the lesbianism in ‘The Uninvited’ is cloaked in malevolence and linked to insanity (!). The story has a satisfying final twist.